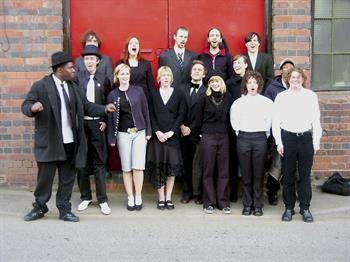 Complaints Choir is an acclaimed documentary-musical by the same director of this year's Petey & Ginger. "What are you complaining about?" This is the question that two Finnish performance artists have traveled the four corners of the globe for, in this entertaining ride through society's psyche. Their aim is not to pour salt in the wounds of the world's grumpy complainers, but to let everyone vent their dissatisfaction about everything from parking fines to climate change, in a liberating chorus of beautiful harmonies. All goes well until the Singapore government refuses to grant a performance permit, setting off a debate in the country and attention from the U.S. State Department. The printed schedule is incorrect for the Aquarius screening of this film. The correct date/time is as above.